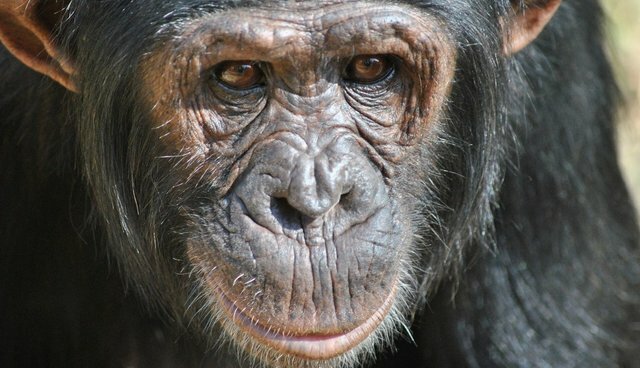 One of the world's leading drug makers, Merck & Co, has announced that it will no longer perform laboratory research using chimpanzees -- becoming the largest pharmaceutical company so far to end testing on humans' closest living relative. In a statement released on the company's website, Merck says it has "voluntarily made the decision to not use chimpanzees in biomedical research in the foreseeable future or indirectly fund their use in studies by external research partners." Merck cites advances in alternative methodologies as a being able to replace the need for testing drugs and vaccines on chimps, though the company claims that laboratory research on other animals remains "indispensable." The move comes just months after a proposal from the U.S. Fish and Wildlife Service to list all chimpanzees, including those in laboratories, as a Federally protected species. Kathleen Conlee, vice president of the Humane Society of the United States, praised Merck's policy change as a positive step forward in an industry with a long history of subjecting animals to inhumane treatment as research subjects. "Merck's new biomedical research policy will save chimpanzees from unnecessary and painful experiments," says Conlee. "Merck's decision, and that of several other pharmaceutical companies, sends a strong message that private industry is moving away from chimpanzee research as the government has." As more companies begin to shy away from primate testing, hundreds of chimpanzees currently held in laboratories in the U.S. may be relocated to sanctuaries within the next few years.